Greetings from Smiles HQ (UK)! I’m pleased to have the rare opportunity of preparing the Website update and E-mail message from my Leeds office. It’s an opportunity I do not have too often as the demands of the developing work in Romania keeps me there for much of the year. About 9 months of each year to be more precise. Don’t worry though – I’ll be back in Romania in 3 days! Lots to prepare for as we look to celebrate the birth of Christ and welcome another 32 visitors to the Cihei Mission Centre between December 8th – 22nd. Our focus during these busy weeks will be celebrating Christ’s Birth and reminding all of the real meaning of Christmas. 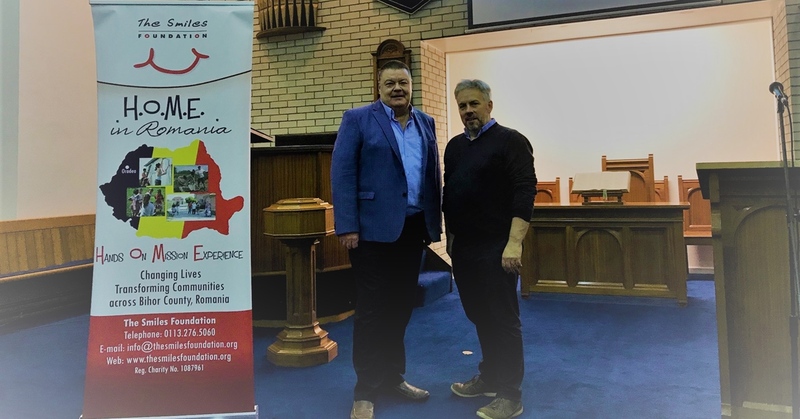 Romania is a good place to do that as we seek to serve those less fortunate than ourselves and in need of some Good News. Just as we needed good news when God sent His Son to be born in a stable all those years ago. We will use the highly successful Sack of Smiles (SOS) programme to demonstrate that giving a gift at Christmas is actually only a reminder of the Gift God gave to us. 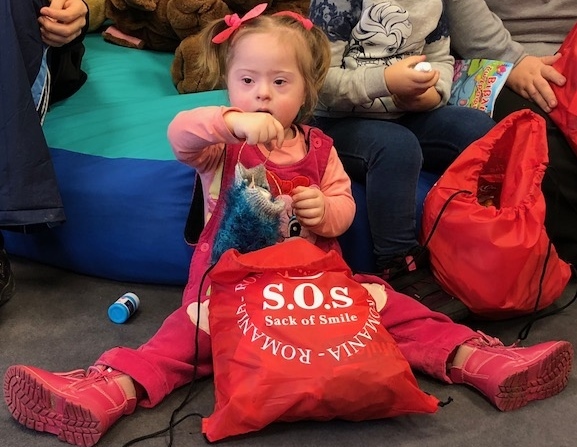 We will be helped by our Mission Team to distribute hundreds of gifts to children who quite possibly will receive only one gift this Christmas – the one we deliver – so as to reach as many as possible, please send your special gift to support SOS now. 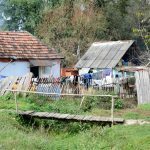 We will be sure we cover all the possibilities through our projects in Bihor County and this year, for the first time, more than 70 SOS gifts will be distributed in Dezna (Arad County). Thank you for your support which will not only bring many smiles to children but also provide a bridge to share the real message and meaning of Christmas. Support SOS. I have been in the United Kingdom for 3 weeks which has been a busy time but crucially important to achieve many objectives and I’m delighted it has been such a successful time. One week was spent in Northern Ireland as I visited many key supporters of our work and met with the ‘Smiles Family’ during evening presentations to consider the way forward in the Province since the sudden and tragic loss of our Development Ambassador, Barbara Morrison. A truly amazing time was had, not only meeting and discussing with so many folk committed to seeing the work grow, but sensing the enormous interest in future Mission Trips and continued Fund-Raising to ensure God’s Work through Smiles, not only survives but flourishes as we seek to Glorify God and provide a living legacy to Barbara. My desire was to see members of the Smiles family, step up to greater involvement and I was thrilled and humbled to have so many offer their support. I am delighted to have Adrian Pogue, who assisted Barbara as Ambassador, now step-up to become Development Ambassador for County Antrim. However, while the structure across Northern Ireland is being established, Adrian will assist across the Province, supporting new Ambassadors in all 6 counties. Adrian attended every evening presentation during my week and I am thankful for and appreciate his immense passion and commitment to the work. It is exciting to have so many new Ambassadors getting involved with areas such as Containers, Presentations, Fund-Raising, Prayer Support, Encouragement to name but a few of the roles people have signed up for. Dawn from the Leeds office was with me throughout the week and Luke Wathen made a flying visit to Belfast, joining me on the final day. A truly great visit and my thanks to our hosts and supporters across the Province of Northern Ireland for being so special and enthusiastic for the future. I was so encouraged by the experience I am hoping to arrange a similar trip in England and Scotland early in the New Year. Watch this space! I have also made great progress with plans to visit America in February/March 2019. Again, I’m so humbled with the response received from friends and supporters across the Atlantic. I hope to have the itinerary structured within the next month, but already on the schedule is Columbus OH, Washington DC, Kingsport TN, Atlanta GA, Baton Rouge LA and Jacksonville FL. My thanks to the positive response from our supporters thus far and I hope to arrange more meetings and presentations over the coming weeks. If you would like to meet during my visit, please let me know as soon as possible as I finalise the schedule. I’m planning to be in America February 14th – March 5th. With the extensive travelling planned in UK and America in early 2019, I will be in Romania less in the first quarter. This is generally a quieter time as we have no Mission Teams January through March, but it is an important time to plan for the future and spend time with staff and assessing projects. Please pray for the Executive Management Team in Romania who need to ‘carry the responsibilities’ when I’m away. I also ask you pray for Dawn in the Leeds Office who carries great administrative responsibility and much of the time alone, as I’m away from the office so much. They all do a crucially important job within Smiles and need your support, so pray as you can, visit when you can or make a call and drop an e-mail to encourage them in their efforts. This month, our faithful Deputy Director in Romania, Georgi Lazau begins maternity leave as she awaits the birth of her first child in December. Our prayers for her and Florin as they prepare to celebrate this miracle of new life. Georgi has agreed to continue her commitment to Executive Management during her maternity leave. 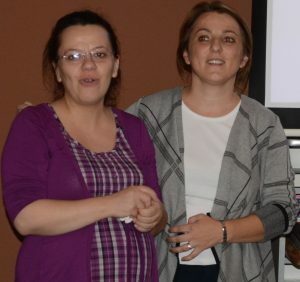 I am delighted that Simona Tosity (Project Manager for Sminro Glasshouse) has stepped up to join the Executive Management in Romania, so now Adi and I have 3 women to keep us in our place! That requires prayer also!! Don’t forget to read the Reports this month from Maria and Adi who continue their hard work to move Smiles forward, day by day, in a positive manner – despite the constant challenges from the State and the nature of people we try to help. Luke has also prepared a short report this month. 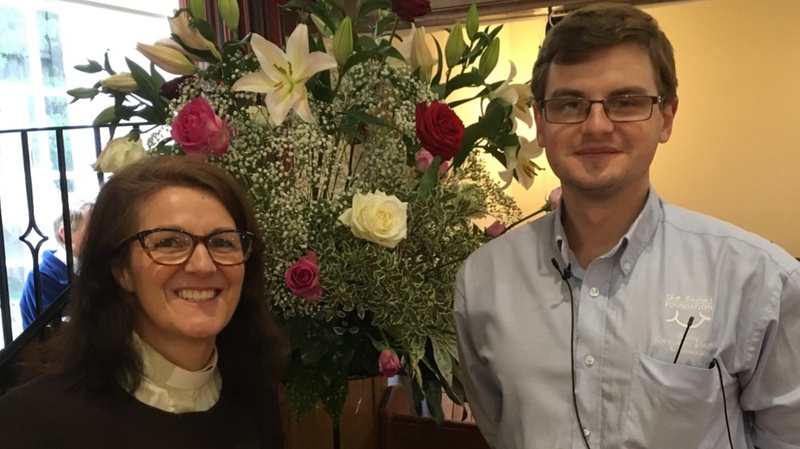 Luke has been in the UK during November visiting churches, schools and supporters in England and Scotland. He has covered a fair few miles and encouraged many to get involved with Smiles. Enjoy his report and let him know if you would like a visit to your church, school or interest group as Luke is scheduling his January – March 2019 schedule. He’s ready to go anywhere in the United Kingdom, so please get in touch direct with Luke or via the Leeds office. The work in Romania doesn’t stop. Although we had no Mission Trips in November, Luke and I were in the UK – the team in Romania have worked very hard in all areas. Adi and Alina with the Field Projects including the new programme established at our Container Village. 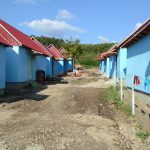 It was wonderful to finally get confirmation from Oradea Social Services that they received their Accreditation to function the Container Village. Smiles partnership with them, means Social Services now cover the fixed overhead costs of the Village so we can focus our support on programmes for the Homeless community. It was a dream started a year ago to make these changes and once again God has rewarded our faithfulness and now every week, we are there supporting the people who are so thankful to have Smiles back at the Container Village. Thank you for your prayers and support during this lengthy and often frustrating process, but I’m thrilled we are now active again for the benefit of these people in need. I have also been making an in-depth assessment of our Residential Care work at JFL, ECO and TAL. This work always receives a fantastic response from our visitors and of course the residents are so thankful and appreciative that they have such a loving and comfortable home to live in. However, we need to ensure these wonderful facilities are fully financed to provide the high level of care we have established and as many of our residents do not have the means to ‘pay their way’ – I want to see more of us supporting them with a small regular contribution or an organised fund-raiser to support the facility of your choice. To assist all this, I have this month established a special page on the site featuring some of our residents who need such support. Please take a look at the opportunities we have now provided to directly assist our ‘social cases’ who need residential care but have no means or family to pay for it. That is what we can assist with and I truly pray several of the wonderful Smiles supporters will join the specific support base for JFL, ECO or TAL. To read more and support our residents. General Information on our Residential Facilities. As regular readers will know, we have been working hard at the new Dezna Outreach Centre since acquiring the facility in May this year. Now the plans for 2019 are falling into place and I am very excited to be planning a full Camp Season at Casa Torch (the Light House) for kids and young people both Romanian and from the UK and even America. June through September 2019 we are planning Camps, so I encourage you think whether your church youth, school group or youth organisation could benefit from a week or two at Dezna Outreach Centre on a Summer Camp. As we focus on a programme to encourage ‘serving Christ through serving others’ I believe Dezna will provide a fantastic outreach opportunity as well as discipleship training for those who participate. 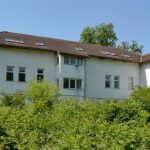 So, there is work to be done at Dezna with repairs and renovations of the Casa Torch building as well as the plans to build a new Residential facility for the Elderly and Disabled, including the Blind & Partially Sighted. To help us with the enormous task we are asking for professional tradesmen to come and help with the build. We need every skill available and to provide a quick reference guide, I have prepared a new webpage detailing the work. If you or your team of skilled workers can come for a week to assist, please check the list and then write to me or call the office with details of what you can assist with and we will get the schedule planned. I hope many skilled people will respond to this, but in case they don’t read my update – if you know skilled workers in your church or family, share the opportunity with them and let’s see how quickly we can impact the Dezna Outreach Centre. Information on the Tradesmen Trips. In 2019 we will be holding the Grand Opening Celebration for Dezna and I know many would like to be there as we Give Thanks to God and dedicate the facility to the memory of Barbara Morrison. As so many have already indicated they want to be at the Opening but fear that could affect their ability to be on a regular Mission Trip – well, I have a solution for you! Book any regular Mission Trip in 2019 and you will receive a Voucher for the Grand Opening of Dezna – offering you free accommodation and meals for the long weekend Celebration. Being as we don’t have dates yet when the Grand Opening will be, you don’t need to delay your plans, as being on any Mission Trip between April & December 2019, will qualify you for the FREE Grand Opening weekend. You will only need to cover your flight. More news will follow in the coming months on specific plans for the Opening, but meanwhile don’t delay enquiring about a regular Mission Trip. We have many opportunities throughout 2019. You should get your visit booked now. My continued thanks for the response to my highlighting of needs each month. The financial position has improved significantly through the year, but it remains an important focus not to lose ground. Thank you for your support. 3. Capital & Maintenance Projects received 90% of its required budget, leaving a deficit of £7,486 ($9,731) for the first ten months. Special Gifts and constant Fund-Raising is crucial to maintain the operational projects day by day. I know several fund-raising events have been organised recently for SOS and special Christmas support. My thanks to Carol Woodward who once again organised the Christmas Market at St John’s raising over £2,000 ($2,600) for SOS. Carol is out on the Christmas Mission Trip to deliver some of those gifts to the children. We were also blessed to receive $3,000 (£2,308) from National Presbyterian Church in Washington DC, so the support we receive from around the world is truly amazing. God Bless you all. As always, so much to share but I think I need to stop and continue working on all the challenges to ensure all the plans and dreams are realised. I look forward to seeing you in Romania, United Kingdom or America in the next few months. Meanwhile, have a truly Christ filled Christmas with family and friends and I pray the New Year will be a new opportunity to serve Him and share His love with a world in need. Keep in touch with us and if you have any questions at any time, just contact the office or one of us by e-mail. p.s. if you already use Amazon for your shopping, Christmas or otherwise, please consider shopping through www.smile.amazon.co.uk and nominating The Smiles Foundation as your chosen charity. We then get a small percentage of all purchases – and small all adds up!! You can log on direct.